Isabel Dysart is well over the age of 20 and shows little inclination to marry. She has two suitors, Willie Torrence her childhood friend, now a doctor, who still calls her Bell and shows her little of the reverence which usually accompanies courting; and the handsome minister, the Reverend James Murray who is perhaps too respectful. Willie is quick-witted, interesting, a "rising man", while the Reverend Murray is a nice and good man. As Isabel finds herself drawing closer to a decision, all Scotland is being rocked by the news of Burke and Hare - two men who sold bodies to a medical school, and resorted not only to gravedigging but to murder. She thus fears a certain isolated spot on the way home from her uncle's, and is terrified when someone darts out upon her. 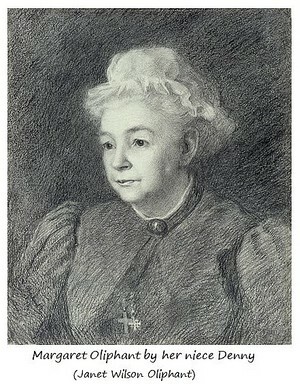 Burke and Hare were caught in 1828, the year Margaret Oliphant was born. At that period there were many "body snatchers" (graverobbers), which resulted in the children of Mrs Oliphant's generation growing up amidst terrifying stories, and having haunting fears of being snatched.